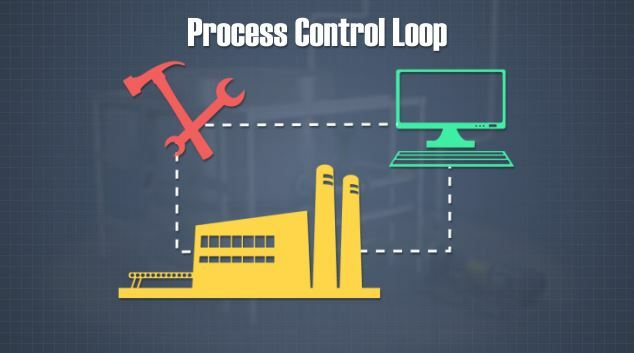 Process control loops are the basic building blocks of a process control system. 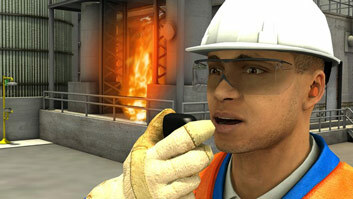 Logic controls use sensors and switches to initate actions. 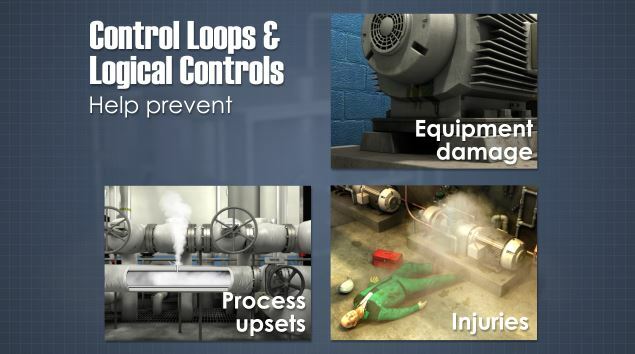 Control loops and logical controls hel prevent process upsets, injuries to personnel, and equipment damage. 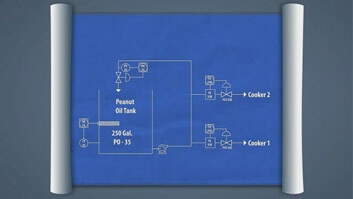 Process control simply refers to the control of a process. The main goal of process control is to stabilize process operations in order to consistently produce the desired results, and it can be automatic or manual. In modern processing and manufacturing industries, process control is frequently implemented by automated, computer- based control systems which utilize a number of different "tools." 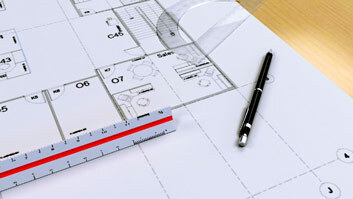 The fundamental building block of these systems is the "process control loop." 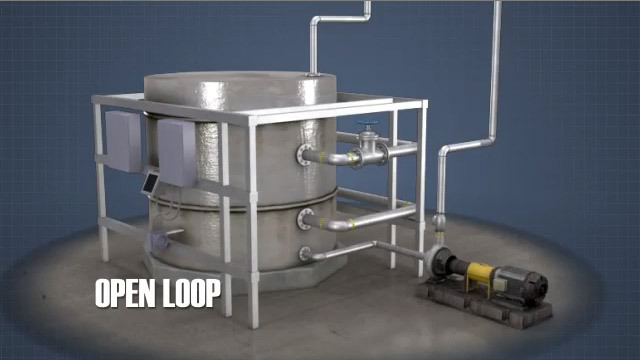 This module discusses open and closed loop controllers, as well as specific examples of each. 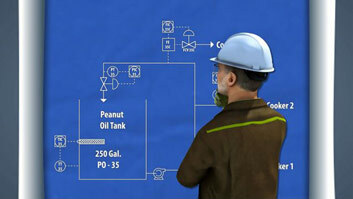 What is the goal of process control? 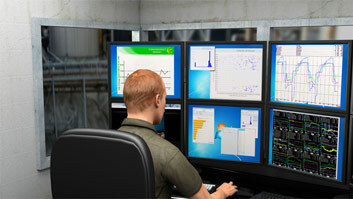 To stabilize process operations to consistently produce the desired results. What is an open-loop controller? A system in which an input variable is used to produce a desired output. In this type of controller, the output variable isn't used to modify the input variable. What is a closed-loop controller? A system in which the output is measured and used to adjust the input variable. What is a continuous control? A control in which the results are continuously monitored and the controller continuously adjusts an input variable to maintain desired results. 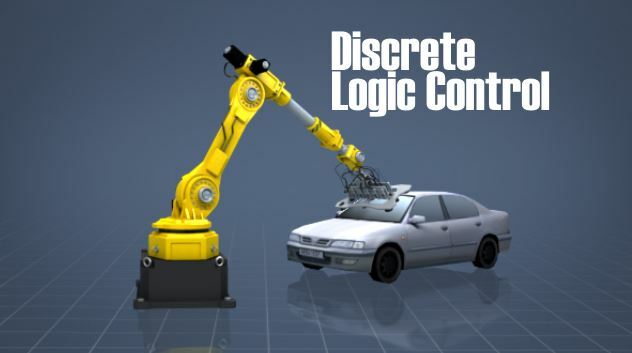 What does a logic control do? Logic controls use sensors and switches to initiate actions. What is a discrete sequencing control? A control that uses timers and counters to move through a cycle. An open loop controller uses an input variable to produce the desired output. One example of an open loop controller is shown here. In this system, a steam coil is used to heat liquid in a tank. A manually adjusted valve on the steam line is used to affect the temperature of the liquid. In the best-case scenario, the relationship between the valve setting and the liquid temperature is well-known. However, because this is an open loop, the final liquid temperature is not used to change the valve setting. If this sort of feedback were used, this would be a closed loop controller. Open loop controllers are sometimes referred to as "non-feedback" controllers. They are best used on well-defined systems, where the relationship between the input variables and output variables are known.